We offer a number of Domestic services to give your home kerb appeal. Using our permeable aggregate products along with our hard wearing resin you will have an attractive long lasting paving solution. This with our product guarantee will provide you peace of mind for many years. 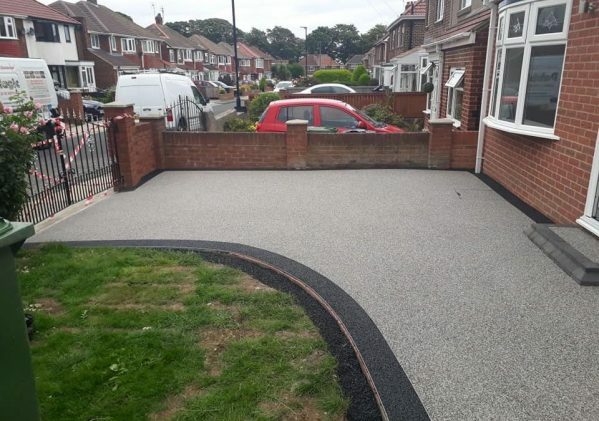 Our permeable resin bonded driveway’s look and feel far superior than standard driveway’s. With little need for maintenance, your Pebblemagic driveway will give you years of satisfaction. With our wide range of textures and colours you can choose a unique blend that will stand out and please the eye of all your friends and neighbours. 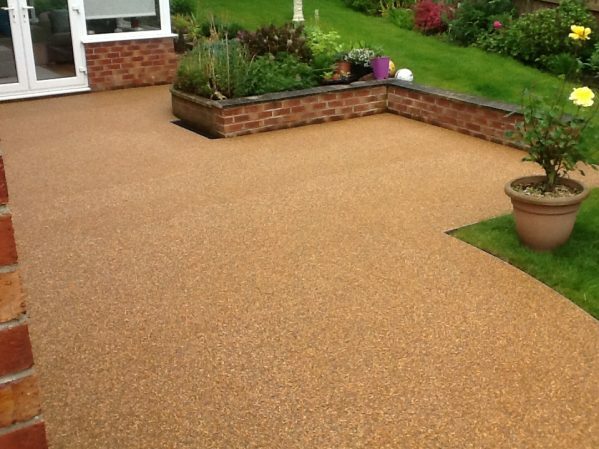 Permeable Resin Surfacing is a combination of clear resin, marble and premium quality aggregate. Permeable means that rainwater drains through it. So no matter how heavy of a downpour you will not have any puddles forming on the Peabblemagic surface. The rainwater also serves as a cleaning tool for the surface, so little to no maintenance is required. 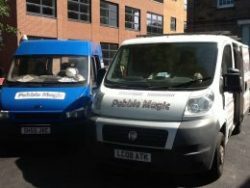 Pebblemagic strive’s for 100% customer satisfaction. We will work hard to find a solution to meet your needs, and any challenge’s your drive or garden pose. As a family business we understand the need to provide value for your hard earned money. 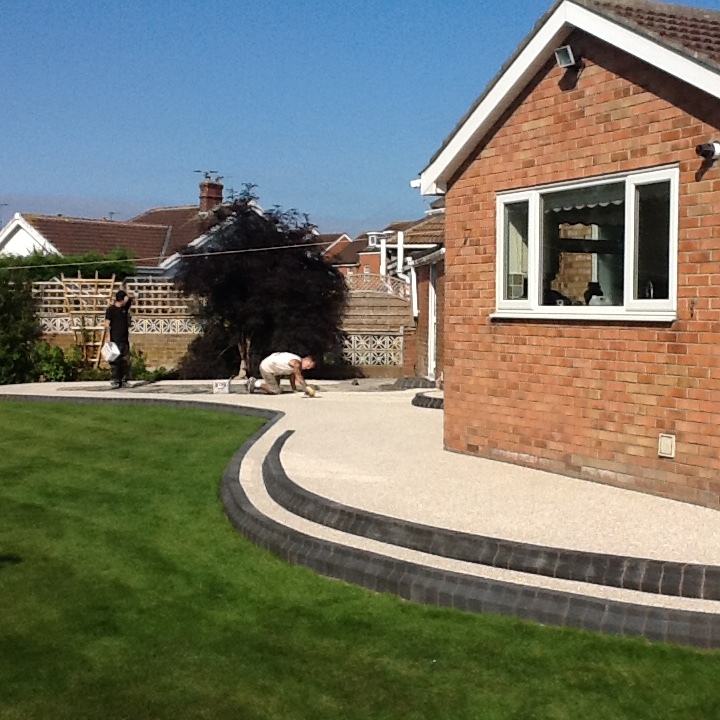 Transform your patio/pathway with Pebblemagic permeable resin bound paving. No matter what shape or size of garden, our huge choice of materials and colours will help you create something unique. Your garden patio/ pathway to be will be decorative and hard wearing. Built to withstand constant use by your family and pets. 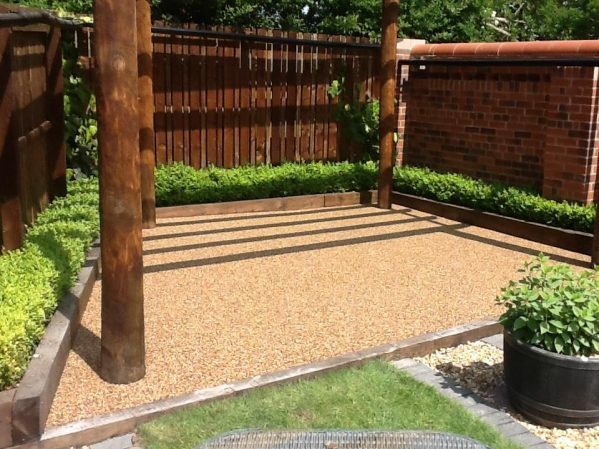 We guarantee that a Pebblemagic garden pathway/Patio will be durable, UV stable and eco-friendly. Our promise is to give you satisfaction and peace of mind for many years.